This is a nice used Mori Seiki SL-0 that has been taken care of by its original owner. The cnc control was updated with the Centroid T-400 in 2008. **Brochure Specifications.. Subject to Buyer Verification. 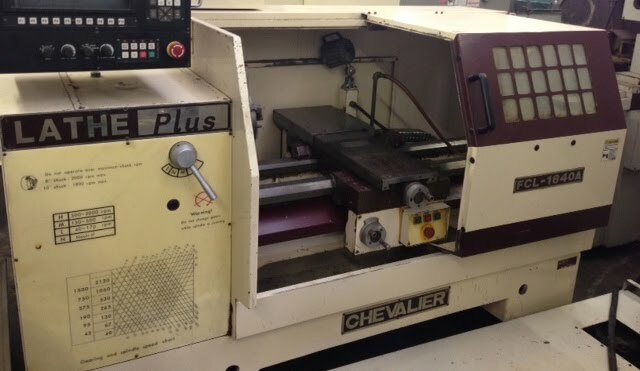 This is a well built Chevalier CNC Lathe. Perfect for prototyping and short run production type work. The New Centroid Control makes this machine an outstanding value at less than half of a new machine in this similar class. It comes with We are in the process of putting the Centroid Display where the Anilam is now. 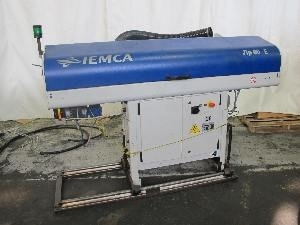 Max Swing over Bed 18"
The machine runs on 220V single or 3 phase. 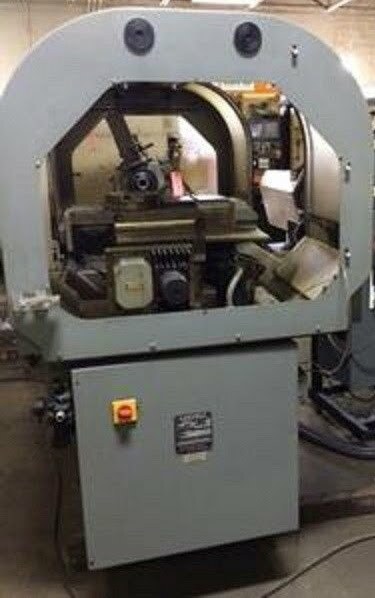 This is a great little Hardinge Super Precision HNC Lathe that has been upgraded with a 2006 Centroid T Series Lathe Controller. Check out Centroids website. Look under the retrofits category. These are great for secondary operations , or high production. The machine has a built in automatic collet closer that easily interfaces to a bar feeder. The machine comes equipped with an 8 position turret for automatic tool changes, or you can use it with a square turret making it into a gang tool. These are sweet machines. The full enclosure is nice to keep flood coolant off the floors. Coolant is programmable on/off through the control. Spindle speeds are also automatically controlled through the control. Nominal Work Size 2-3/8" X 2-3/8"
Center Height From Floor 38-3/16"
Longitudinal Carriage Travel (Z) 9-7/8"
Cross Slide Travel (X) 11-13/16"
Floor Space 63" X 55"
Net Weight, Approx. 3000 Lbs. collet chuck, does not include a 3 jaw chuck. Manual Tailstock with 8” Quill Travel Machine Weight 5100 lbs. This real sweet CNC Flat Bed Lathe that is in the process of being retrofitted with a New Centroid CNC Control. The machine came out of a trade school in mint condition. 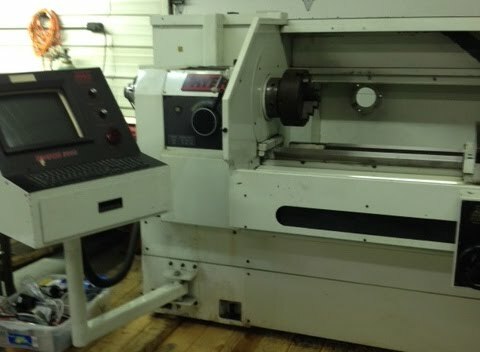 Here's your chance to own a CNC lathe at less than half the cost of new. We plan to put the Centroid Display where the Anilam is now. Net Weight, Approx. 4000 Lbs. 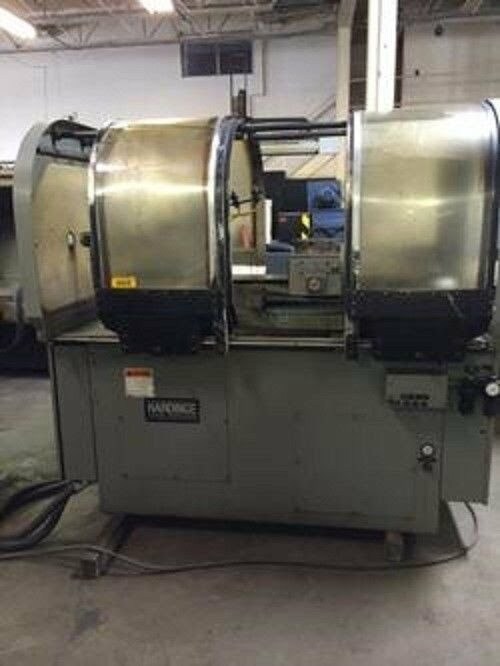 This is a Used Hardinge Lathe with the Omni Turn CNC Attachment and Control. programmable spindle speed. This will make someone a great little small part machine. This is a used Accuslide with a Fagor 8025TG Control and the external disk drive. This machine is in very good condition and is a single owner machine. The drive motors have been factory reconditioned, as well as the X axis ballscrew. The machine features a 5C automatic collet closer, 5hp spindle drive and motor, spindle encoder for single point threading, and New AD spindle drive. The X axis travel is 11.75", and the Z axis travel is 7.5". There is no tailstock on this style of machine. The machine was originally built by Upgrade Technologies in Southern California and all mechanical parts are supported and available. It originally sold for $42,000. These machines are great for prototyping short and long run production of parts under 1-1/16" (thru spindle). I have many customers who bought these 10 years ago and are still running them everyday. I got an incredible buy on this one and am passing on the savings to you. Call Jerry @ 503-998-0985 for more info or to see it in person. Made in the U.S.A. by The American Way Machine Tool Company of Grants Pass, OR. Small footprint makes this machine a great addition to a shop where limited space is available. This came from a trade school and told it was in running condition. I have not powered it up. The Controller is a PC Based Omni Turn Platform. Here's Some information from THE AMERICAN WAY literature...…. The AW-100 has a TOOLING BAR and not a standard TURRET that index's. 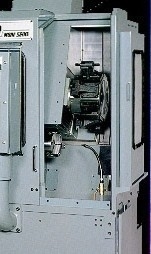 The TOOLING BAR has no index time, tool positioning is done by the lathe table and machine offsets. This makes CYCLE TIME much faster. Each TOOLING BAR has 8 positions to locate 5/8 round tools and collets. The TOOLING BAR slides on and off the (X & Z) axis table with just 5 bolts. Easy Job Setup: Unbolt tooling bar, Slide off, Slide on next tooling bar with preset tools, Tighten down 5 bolts, Call up program (offsets are stored at the end of each program), Back up your offsets .005, Run one part, Readjust the offsets and you are back up running parts in less then 15 min (MAX), It's just that simple! User-Friendly, THE AMERICAN WAY AW-100 has a very easy to use PC based machine controller. The most important characteristic of this innovative short bar feeder is the totally mechanical movement of all devices, which guarantees total operating reliability and low maintenance requirements. Furthermore, bar diameter changing is extremely rapid, requiring just a few simple adjustments that can be performed from outside the machine. A numerical indicator displays the value for the diameter of the bar being processed. •	Bar change time :16 sec. •	Double bar-pushing system for shortening the feeder length. •	Bar followers for shock-free bar positioning in the guide channel. •	Low-friction V-profile guides for round and hexagonal bars with quick-release fittings for replacement with square-section bars. •	Guide height can be adjusted easily according to bar diameter. •	Simultaneous adjustment of bar selection and magazine inclination according to bar diameter. •	Brushless motor and toothed belt transmission for bar feed. •	Asynchronous motor with reduction gear for remaining movements. •	Extremely handy and easy-to-program hand-held digital pushbutton pendant control. using this function the bar change cycle takes about 4 seconds.